If you are Wilfred, please join here and update your profile! Updates to Wilfred's profile since your last visit are highlighted in yellow. I was born December 13, 1927 in Swiss Alp (Fayette County) Texas. I am the oldest of eight children born to Rudolf and Christina (Kainer) Wick. I was baptized and made my First Communion at St. Mary’s Catholic Church in High Hill, Texas. I was confirmed at St. Michael’s Catholic Church in Weimar, Texas. I attended school in Swiss Alp until third grade. In 1936, we moved to Weimar where I attended school at Sedan, Texas (Colorado County) through 8th grade. Then I helped my dad farm until I was drafted into the Army at the age of nineteen. I took basic training at Fort McLennan Alabama. After basic training, I went to California to be deployed overseas. We left on August 2, 1945 and arrived back in California August 5 due to a breakdown on the boat, “Marine Wolf.” We left again on August 16 and arrived in Seoul Korea for occupational duty. I contracted scarlet fever and was in an isolation ward for three weeks. We arrived back in the United States by ship, the “General E.T. Collins,” on April 26, 1947. 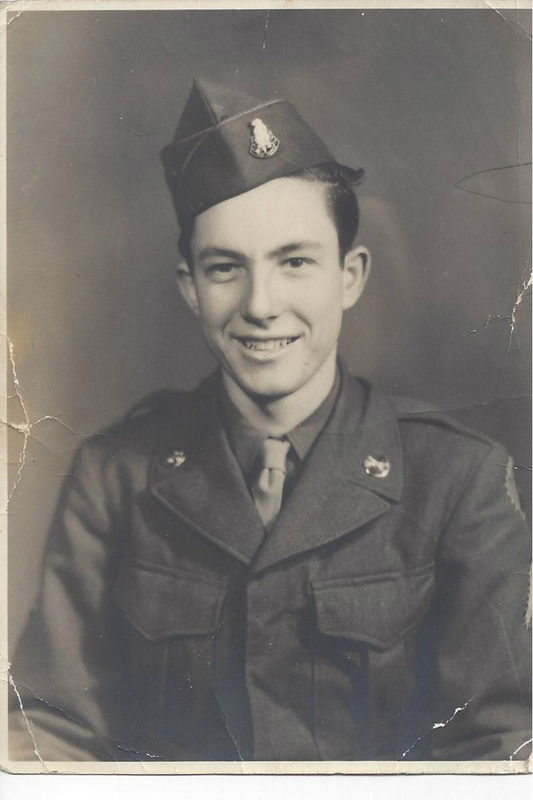 I was discharged from Camp Stoneman, California on May 21, 1947 as a PFC. I received the following: Military Occupation Specialty, Automotive Mechanic, and Rifle Sharpshooter with the M1 rifle, and the World War II Victory Medal. I farmed with my dad about one year and then went to work at a service station. In August l950, I went to work for Weimar Sheet Metal Works. In 1961 the company transferred me to Eagle Lake and I continued to work with them for 42 years. I married Dorothy “Grace” Dahse on November 7, 1954 at St. Michael’s Catholic Church with the reception at the New Bielau Community Center. After Grace and I married, I took my GED test and then attended Blinn College for two year in Business Administration and received a diploma on May 27, 1956. Grace and I have three children, Carol, Wesley, and Russell. Carol attended Sam Houston State University for four years and The University of Texas for two years receiving her degree in Speech Pathology. She married Gary Lane and they have two sons, Lucas and Garrett. They live in Austin. Wesley attended Sam Houston State University and received a degree in Agriculture. He has two sons, Cody and Travis. Wesley is employed at Redstone Golf Club in Houston. Russell attended Texas A&M and received a degree in Agricultural Economics. He lives in Austin and is employed by Brown Distributing. My hobbies include fixing things and seeing how they work. Recently I have made several homemade walking canes for family, family reunions, and church auctions.